As you know by now I love brewing up stuff in my kitchen. Those who think it is just food, are wrong. I love making DIY beauty products. Mainly because I know exactly what is in them. Obviously since I love doing that so much I have a stock of products that I use. Unfortunately it is not an infinitive stock and I run out of products quite regularly. I always go to the store with the plan of being in and out, but when in the store I just cannot help but to look around a little. 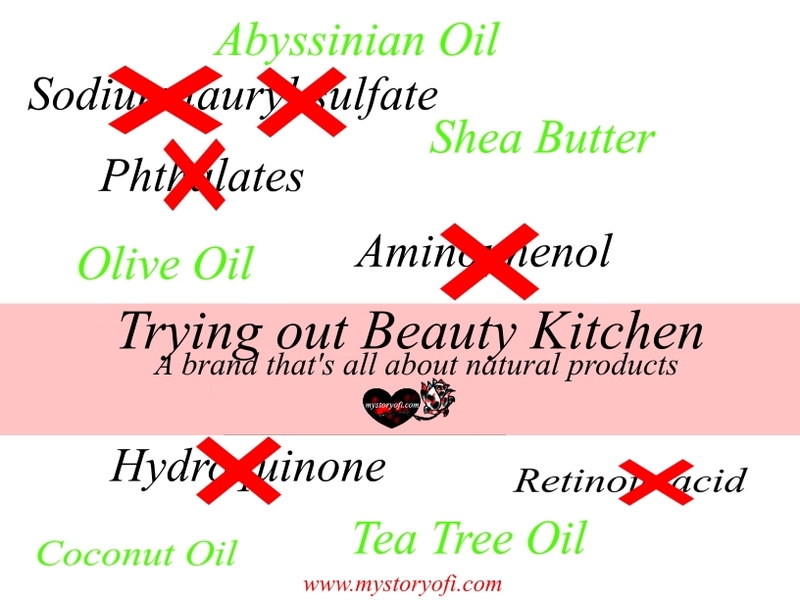 Luckily I did, because I found a new product line, called Beauty Kitchen, that I have fallen for head first. Disclosure: Some of the links below are affiliate links, meaning, at no cost to you, I will earn a commission if you click through and make a purchase. Normally I buy just one product since it was not a pure product. This time I was so convinced it was great I bought a whole bag. A detox bag to be exact. The products and the entire line are about knowing what is in your products. So no weird names on the label that you do not want to google because you will develop phobias. The products are made out of pure products such as coconut oil, shea butter et cetera. Each product is mixed with those healthy oils and/or butters to give you the best result. Without any additional cr*p. Sorry to say it like that. I managed to keep to the face washing twice a day. I have to tell you the sponge is so soft, it is wonderful. Also the five minutes it takes to scrub your face in the morning are a lovely little me-time at the start of the day. At night the same, it works super calming. At least for me. I did not put the facial concentrate on each morning because I am happy with my current day cream. However I did use it on days that I stayed in and it is very moisturizing. The same with the beauty balm. With the salt I made a scrub because I do not like taking a bath. I mixed it with my regular scrub oils and put some of the facial concentrate in as well. My skin felt incredibly soft after using it. I cannot immediately say if it is such a big difference from my normal sugar scrub routine, that is something time will have to tell me. My face however is now constantly properly moisturized and feeling really taken care of. I am very happy that I did not go home with just one product. Now I have a bag containing everyday simple treat yourself products. I can not wait to fill it with more of Beauty Kitchen products. Update 01 October 2018: I’m still in love with the beauty kitchen line. Especially the salt, the facial oil and the sponge. The beauty balm only when I’m having a day in. My Skin has also responded really well to the products. No irritations or break outs at all, just shiny healthy happy skin. A simple way to treat yourself everyday.